Smart home technology may quickly surpass fresh paint and landscaping as the new curb appeal when it comes to boosting the value of your home. And, thanks to the growing share of homebuyers who are tech-savvy millennials, home automation adoption is likely to continue expanding. Interested in adding network-connected thermostats, refrigerators, lighting, or security devices in your home, even if listing isn’t in the foreseeable future? If so, the announcement that a portion of the most widely deployed wireless communications protocol in home automation has become available as open source may mean broadening availability of smart home technology. With more than 50 million interoperable Z-Wave smart home devices already deployed worldwide, Sigma Designs has released the interoperability layer of the Z-Wave standard into the public domain. The Z-Wave Public Spec provides developers, gateway manufacturers, and anyone else free public access to specifications for the application interoperability layer for development of smart home IoT apps. According to the announcement, Sigma Designs, the company that owns Z-Wave, is also releasing the API specifications for its Z/IP (Z-Wave over IP) and Z-Ware (Z-Wave middleware) software products used by gateways to link to cloud services, as well as the full specification of the Z-Wave S2 security application framework. For more information, check out the FAQ for the Z-Wave Public Specification. 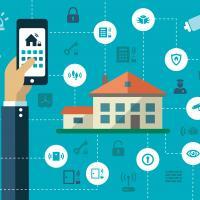 The smart home market is expected to grow by more than 35 percent from 2016 to 2020, according to a recent industry analyst market research report. With the Z-Wave announcement, the hope is that more companies will adopt Z-Wave as the smart home language standard in their product development. However, if you want to take on the challenge of making your home smarter, Gizmodo features some interesting DIY smart home projects, ranging from a Raspberry Pi-powered security camera and smart lights to a good morning sunshine project that opens your curtains in the morning.